Every professional pianist falls in love with such quality. W.Hoffmann 206 Professional: the quintessence of playing pleasure. The W.Hoffmann 206 Professional model is nearly a concert grand piano. As with all instruments in this line, the voicing and the various settings are entrusted to concert technicians. In accordance with the C. Bechstein keyboard and action engineering and geometry standards, the keys are covered with an anti-slip coating and the lever ratios are optimised, so that the entire action delivers the smooth touch required for a professional use. With its considerable reservoir of power, the W.Hoffmann 206 Professional grand piano is the partner you need for serene rehearsals before a concert. 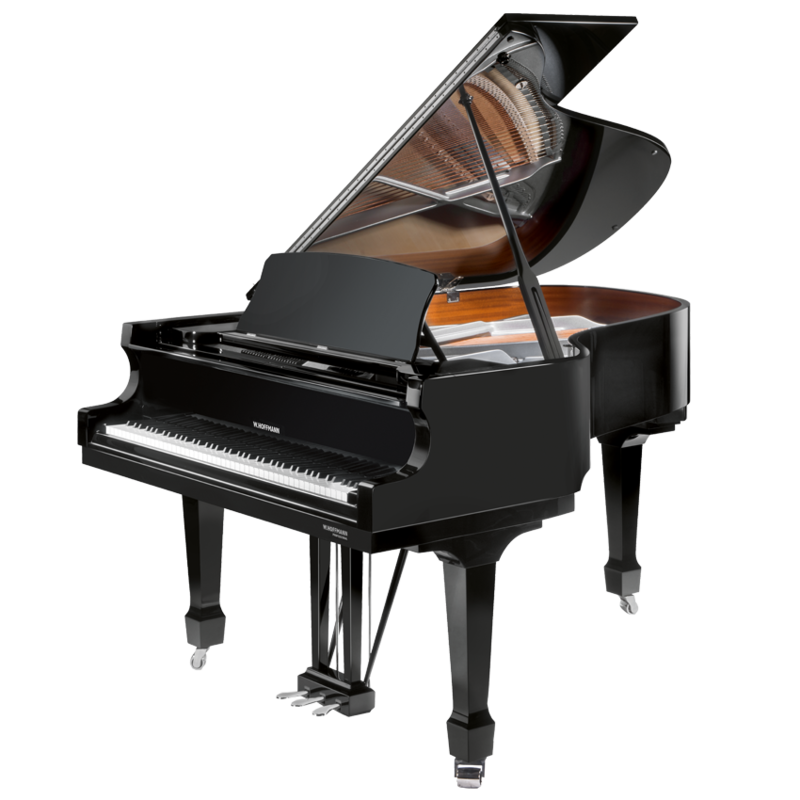 Even this instrument – the largest within the W.Hoffmann Professional line – can be equipped with the Bechstein Vario mute. This digital device allows you to play at any time, night or day, without disturbing anyone, while enjoying an unaltered touch. It stops the hammerheads just before they hit the strings, digitalises the notes using sensors, and plays them in headphones using samples recorded on a concert grand piano. The Bechstein Vario mute can be connected to a tablet or a notebook, so that you can record yourself or accompany existing recordings. Characteristics W.Hoffmann 206 Professional: the feeling of a concert piano at an affordable price.